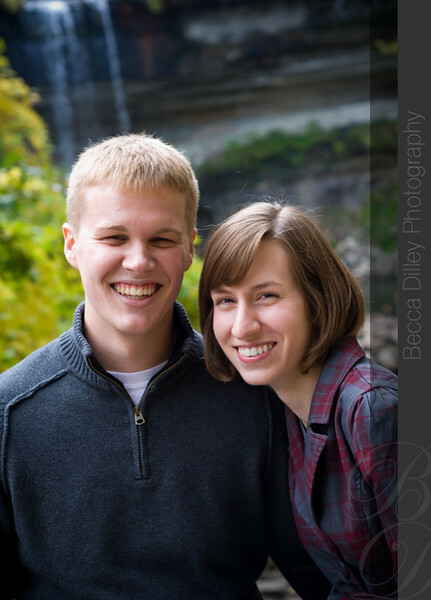 Liza and Ian are friends from my old camp days at Phantom Lake YMCA camp. 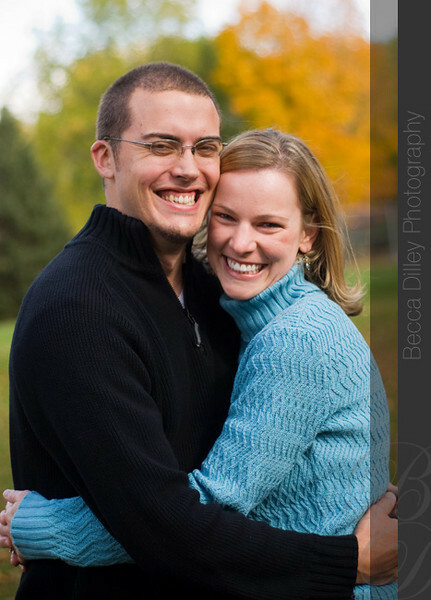 As you may know, camp makes strong bonds (very strong in their case) and it is my total honor that they chose me to be their wedding photographer for next year. 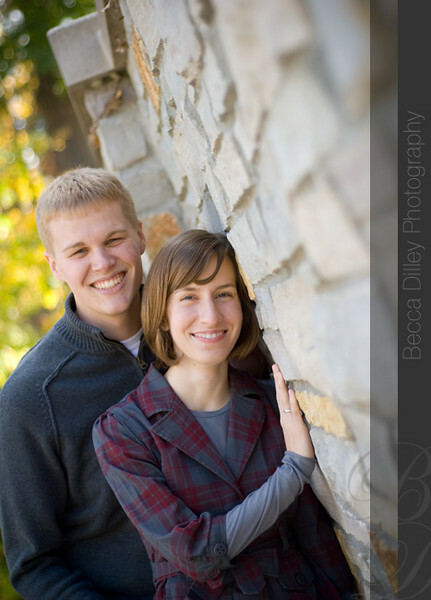 Liza is a very intelligent and caring woman, and Ian is one of the funniest people I have known, besides being a great chef and all around good person. 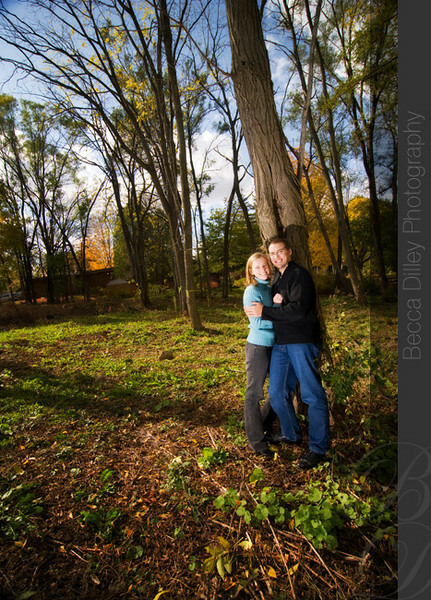 It can sometimes be difficult to photograph friends, but we had a wonderful time at the University of Wisconsin Arboretum this fall, and then back to their house for a few photos while playing word games. 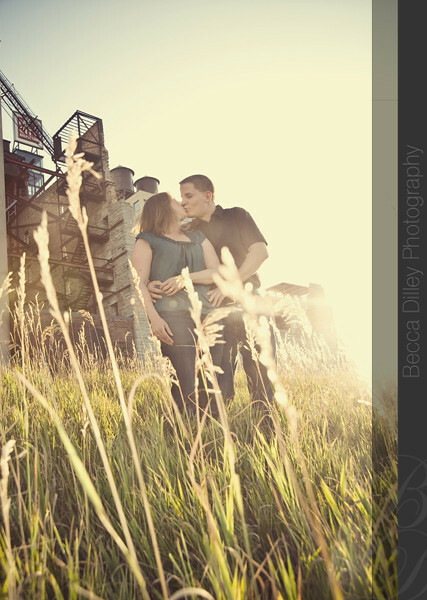 I am so excited for Hanna & Wes’s wedding next year at The Creamery – a restaurant and inn that used to be a cheese factory in Wisconsin! 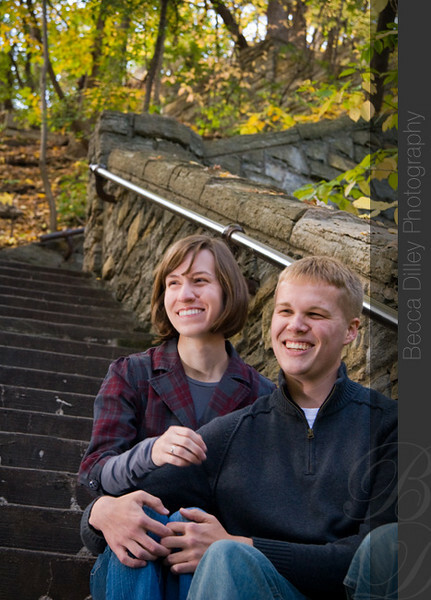 Anyway, I am sure that I will go on and on about their wedding in due course, but for now I will focus on their fun engagement photos at Como Park in St Paul. 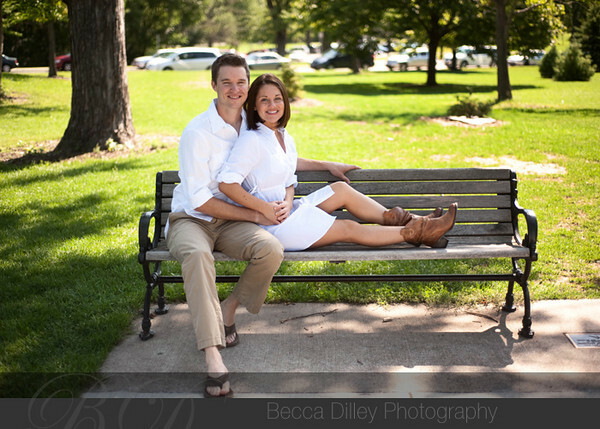 Things were already going well, and then Hanna pulled out cowboy boots *and* hot pink pumps! 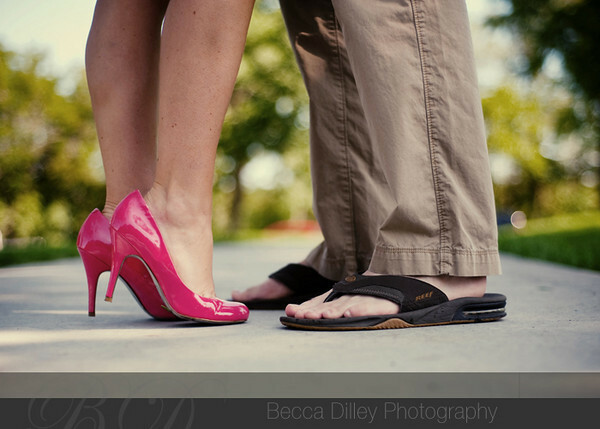 I am not a huge shoe person, but I was totally won over all over again! 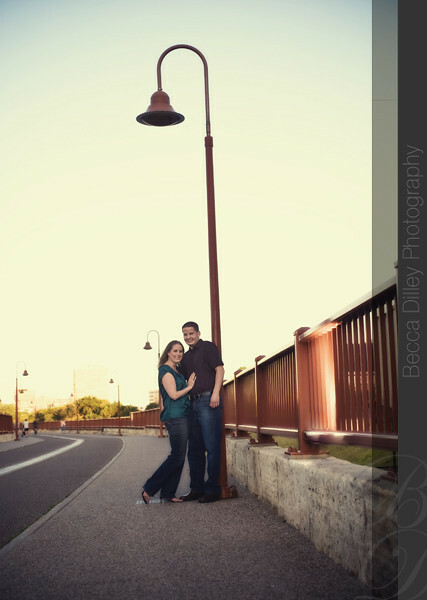 Karen and Jeremy are getting married in October, but we found some time to take engagement photos by the stone arch bridge and the Guthrie theater one evening. 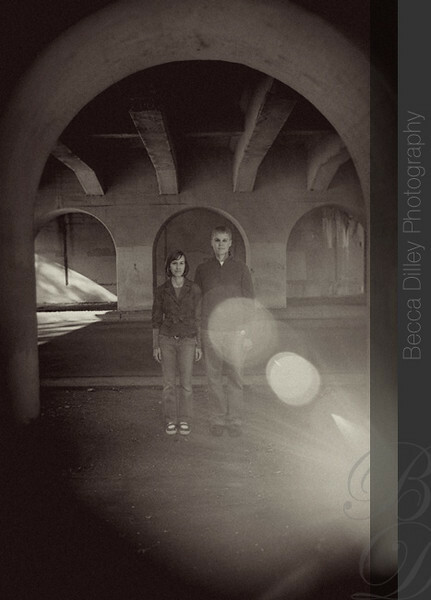 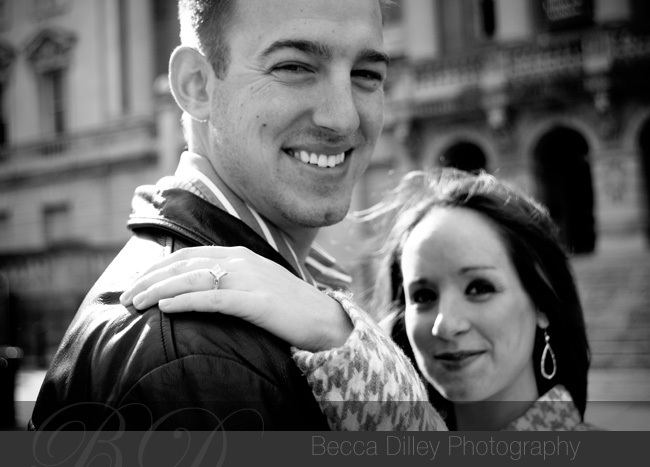 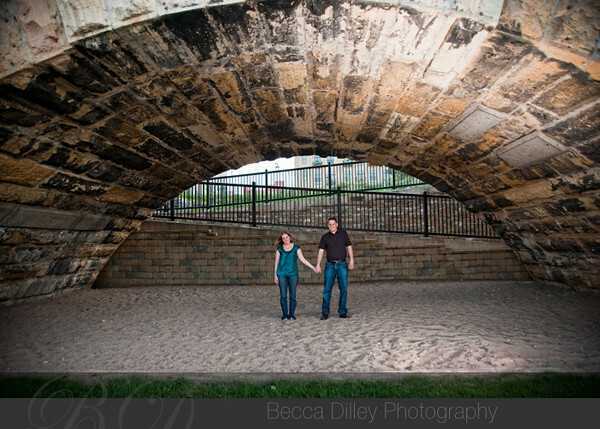 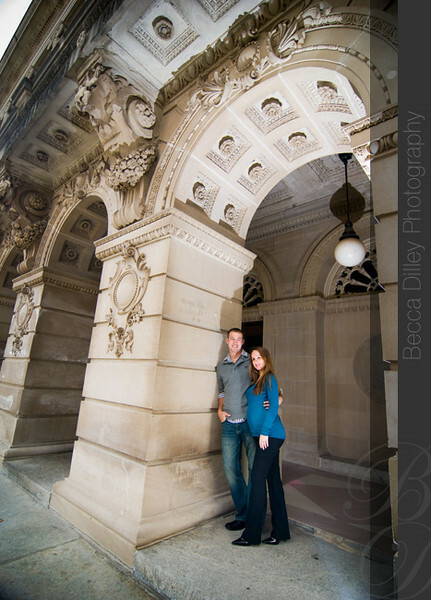 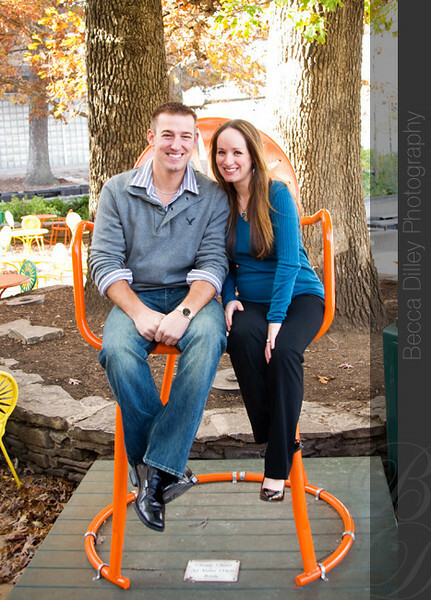 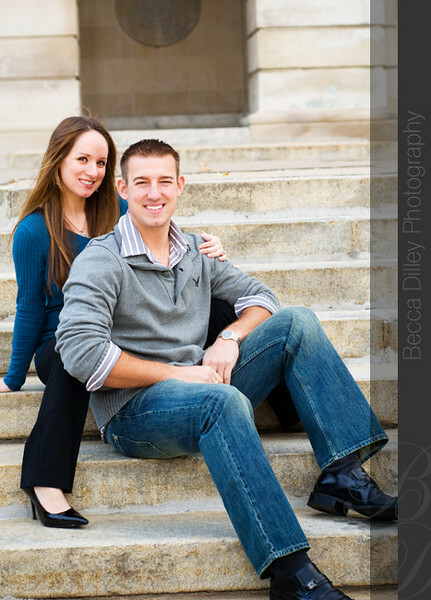 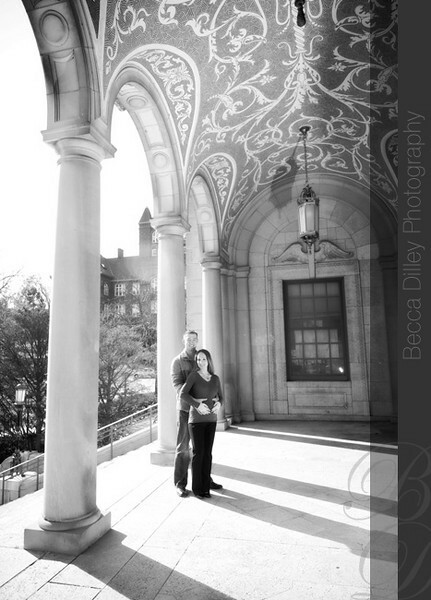 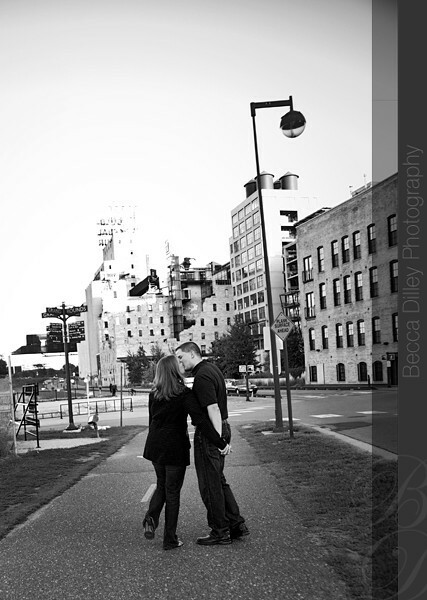 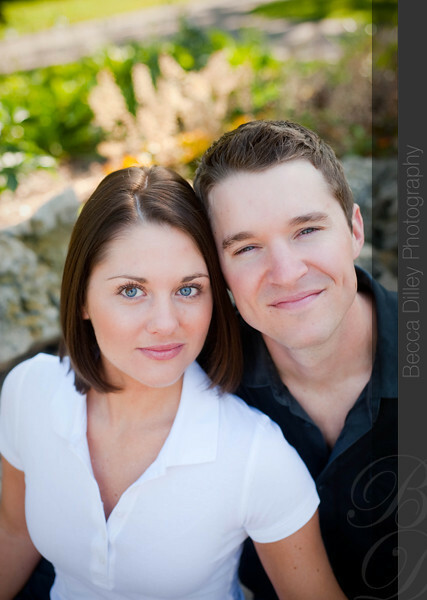 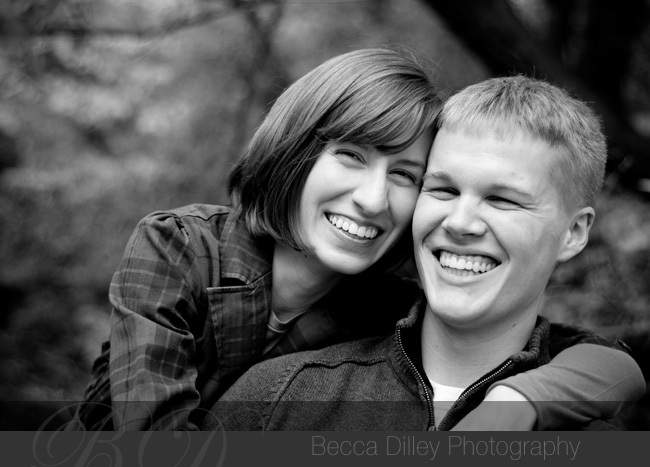 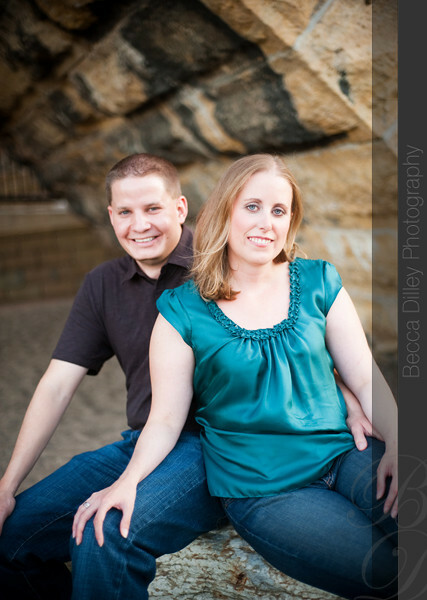 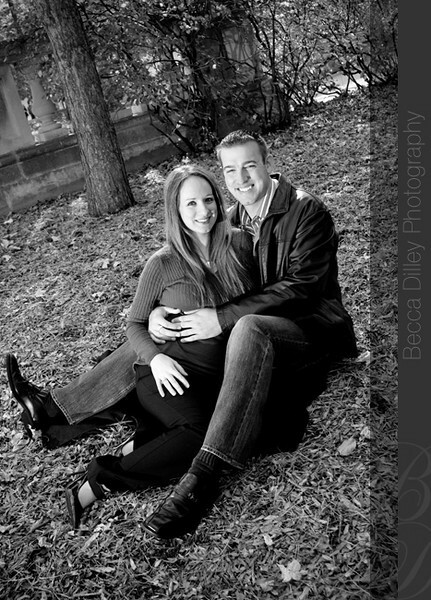 I had a lot of fun photographing Tricia and Dan in downtown Madison. 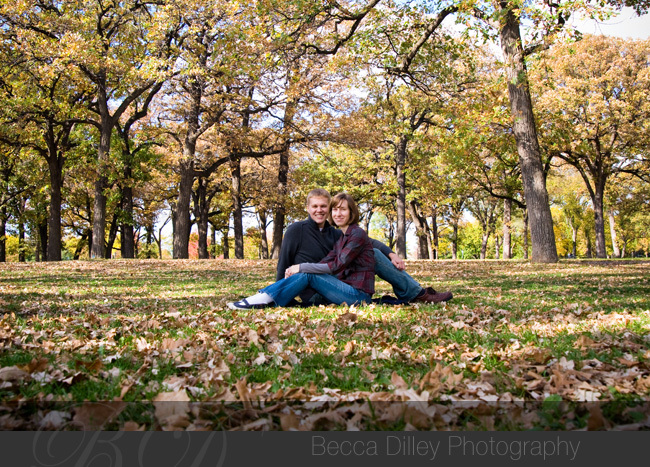 We had the chance to walk around library mall, and then the memorial union and terrace on a nice (but windy) fall day. 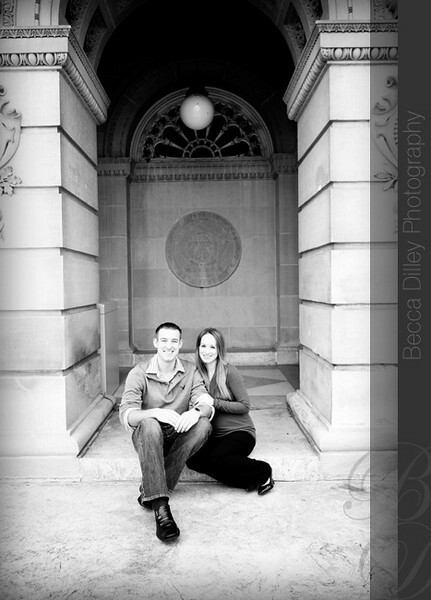 I am really looking forward to their wedding in Madison next year, when they will also have new twins! 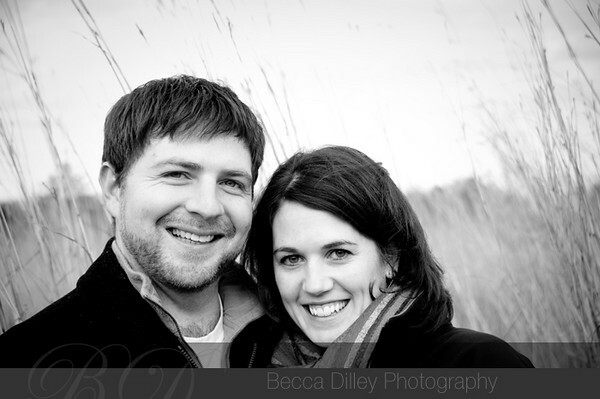 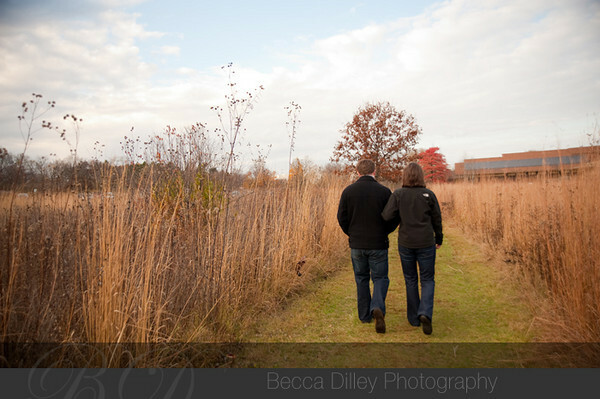 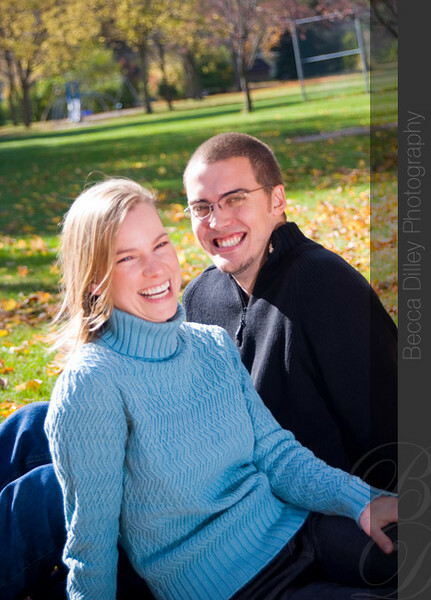 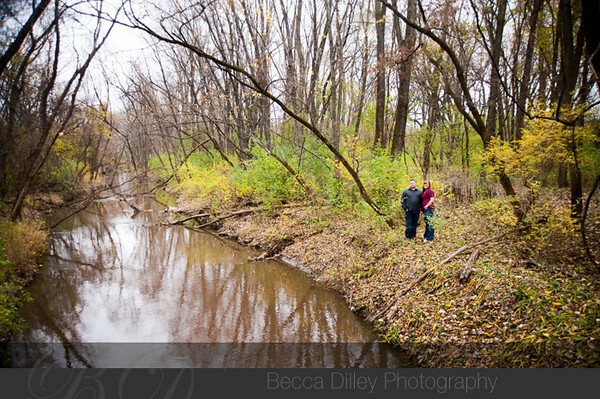 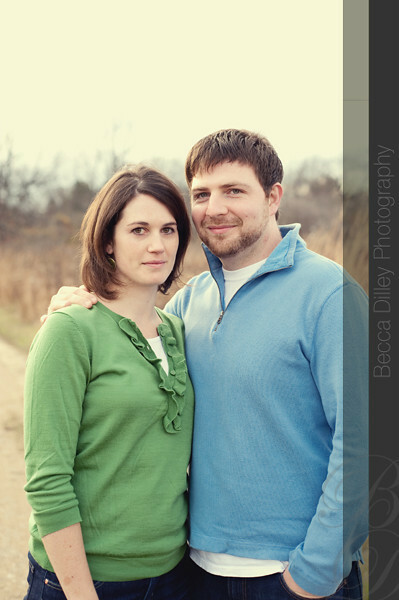 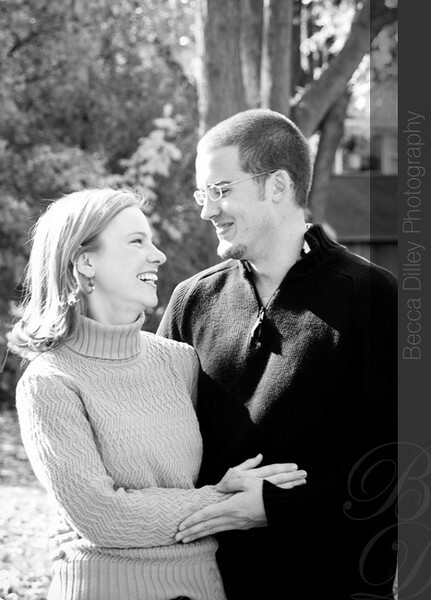 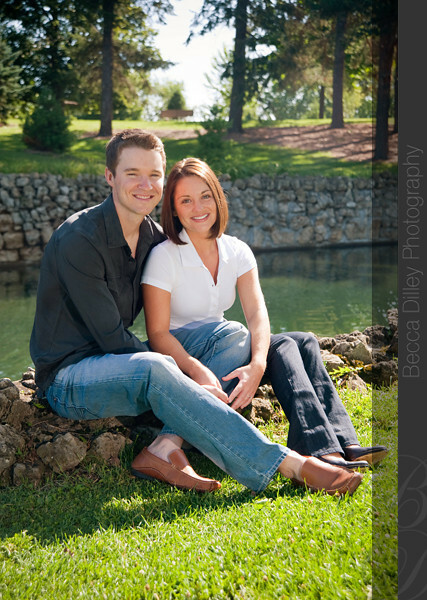 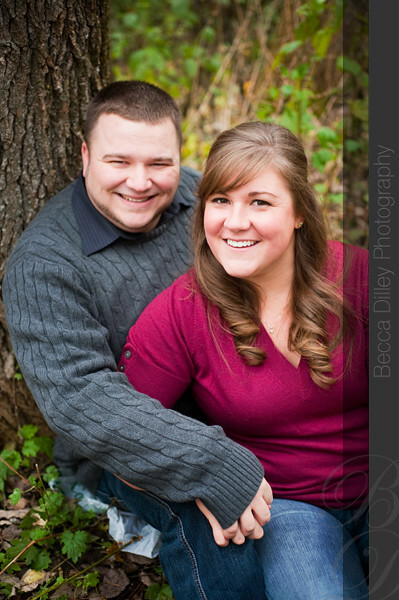 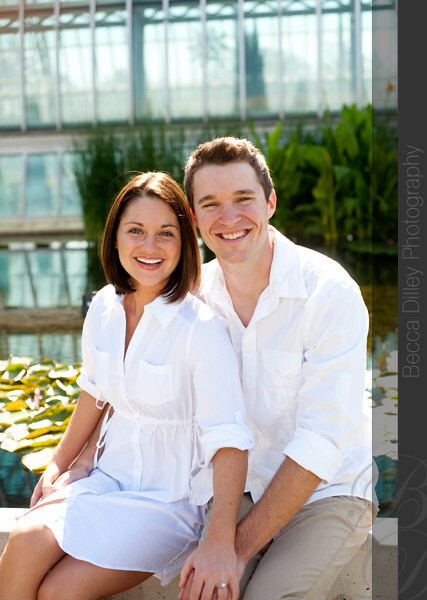 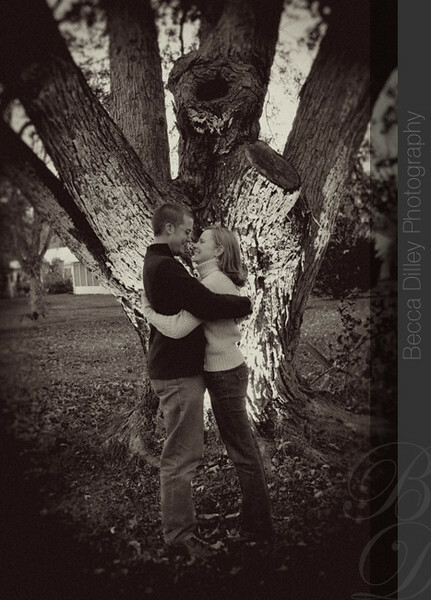 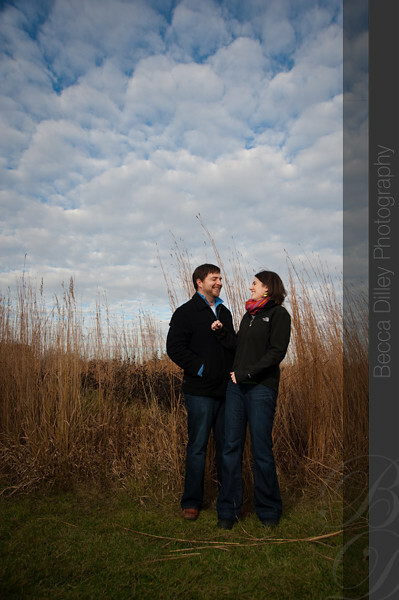 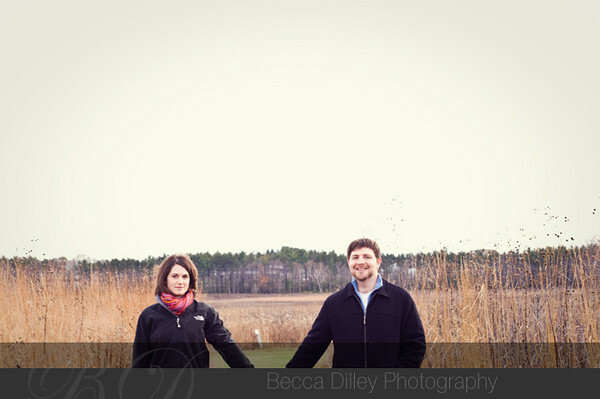 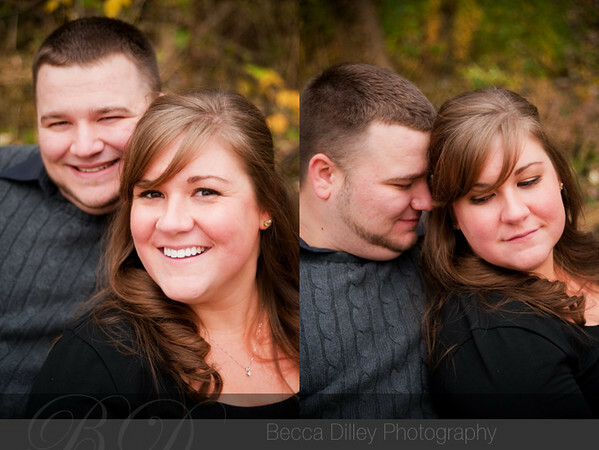 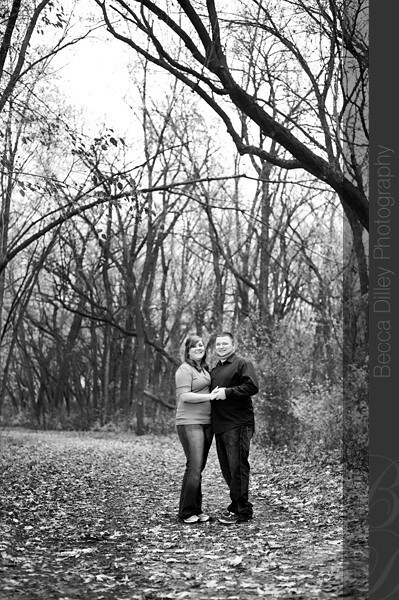 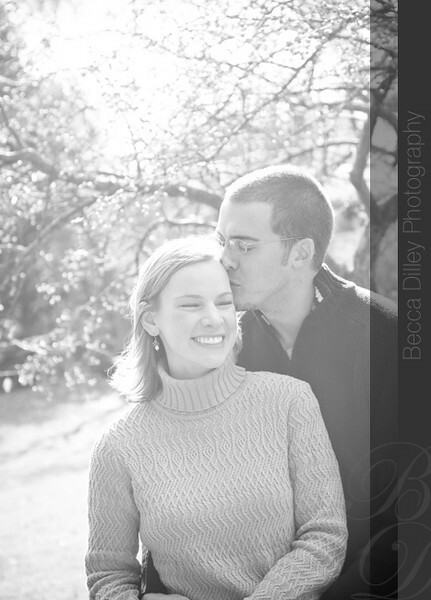 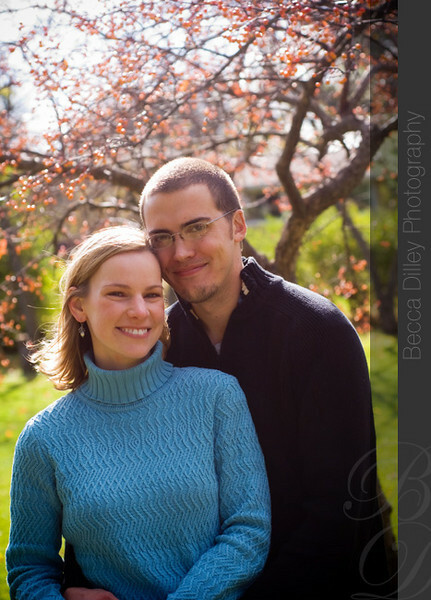 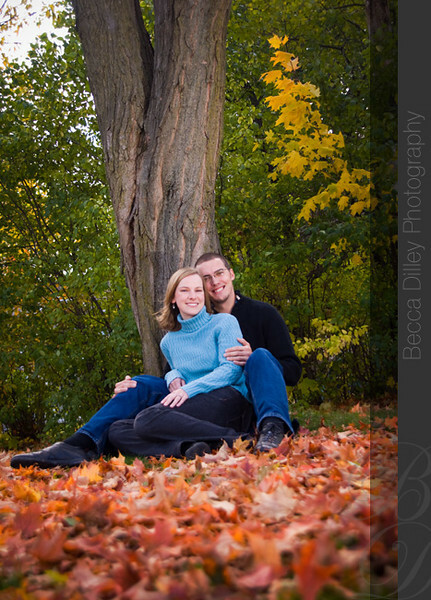 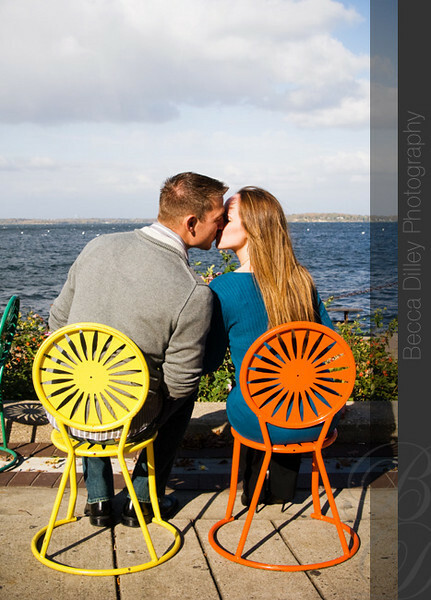 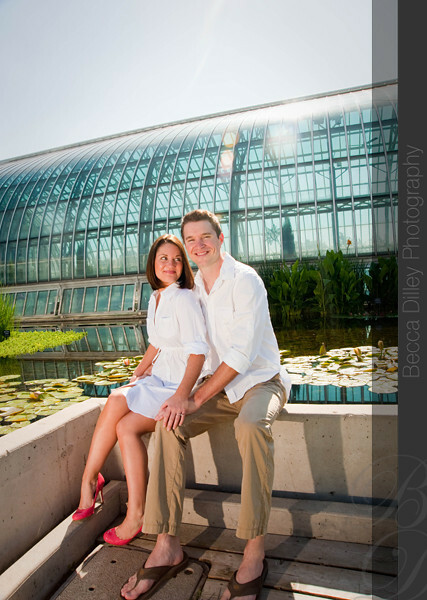 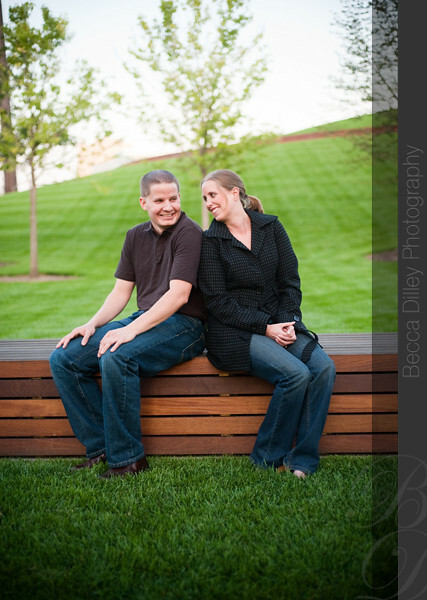 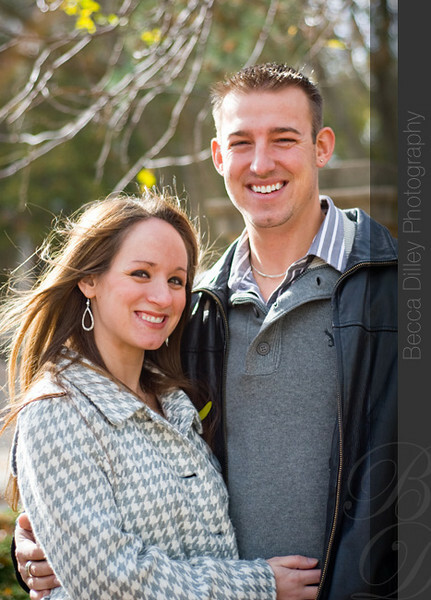 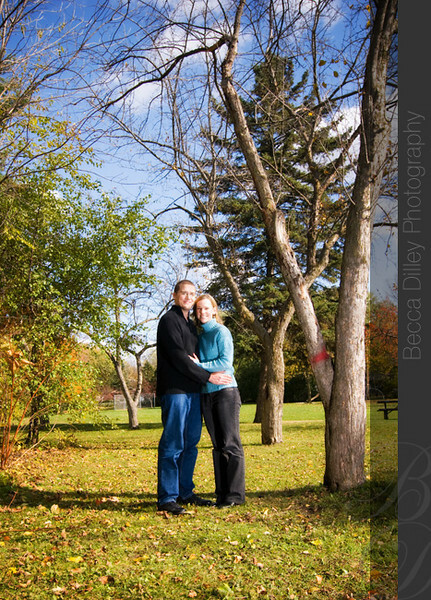 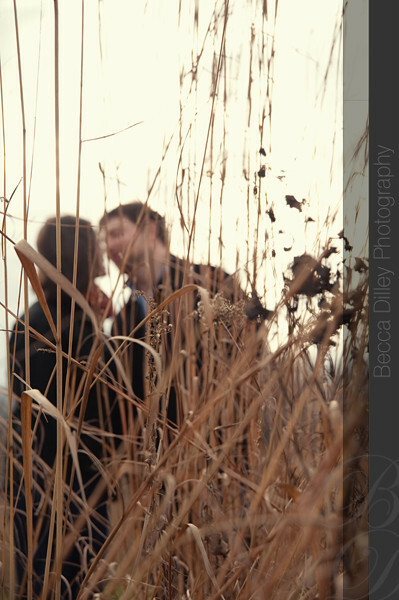 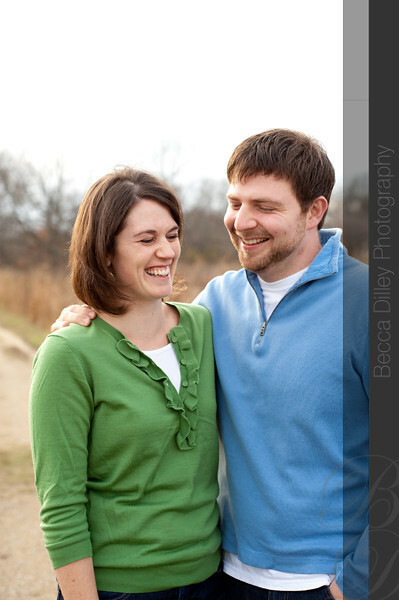 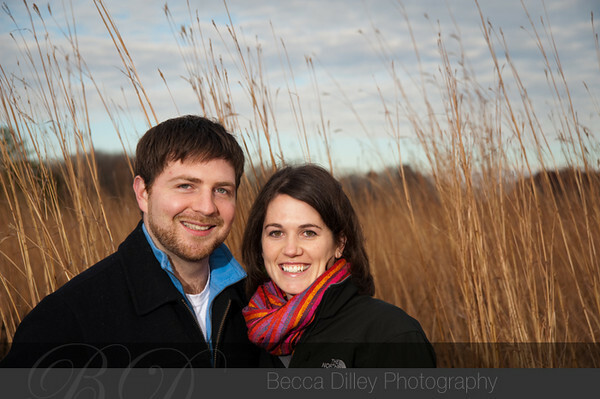 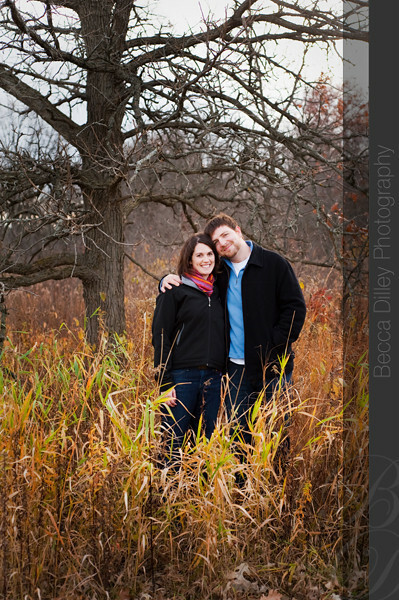 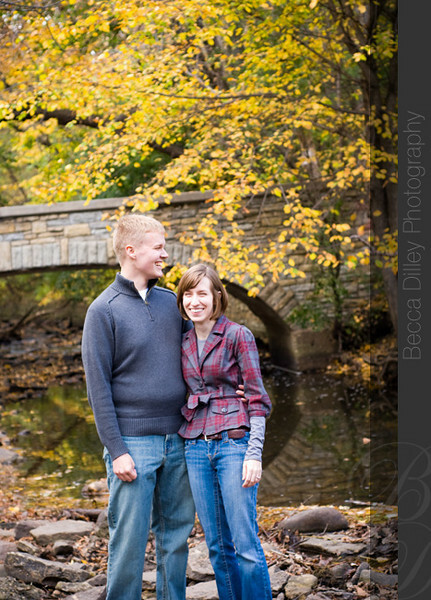 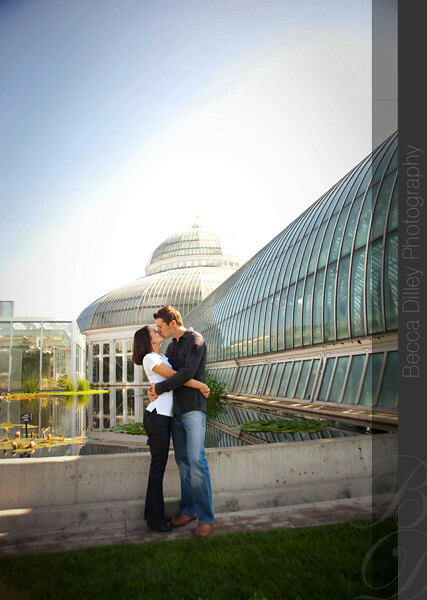 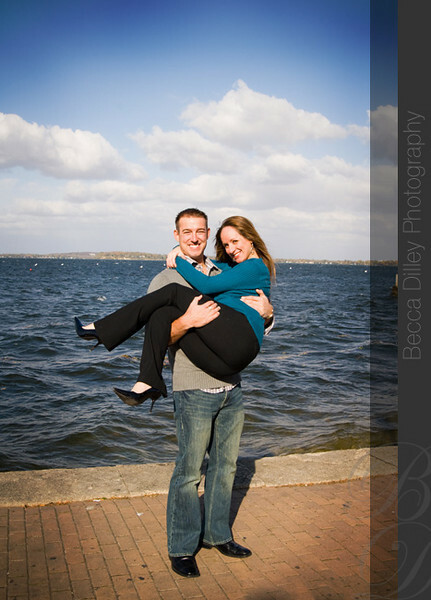 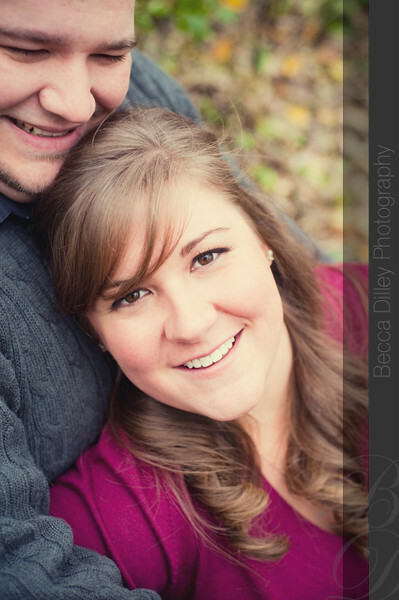 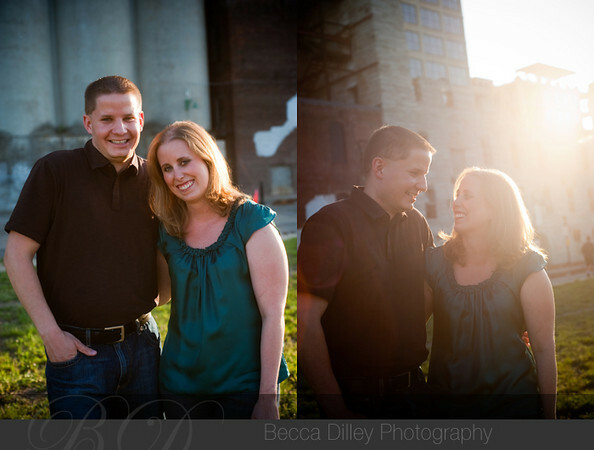 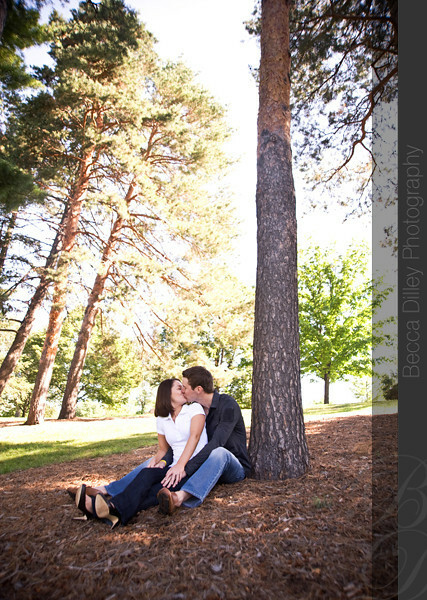 I was so psyched to get nice weather for Becky & Christian’s engagment session in Madison. 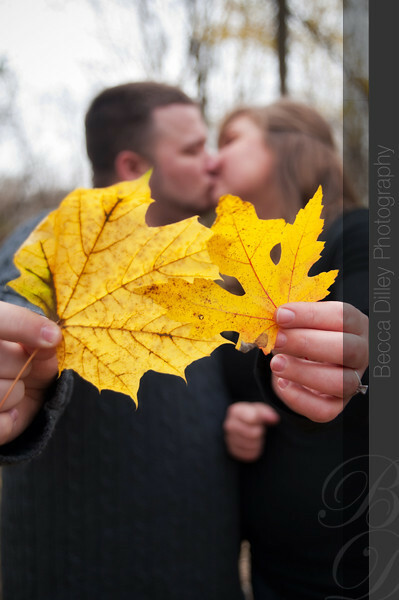 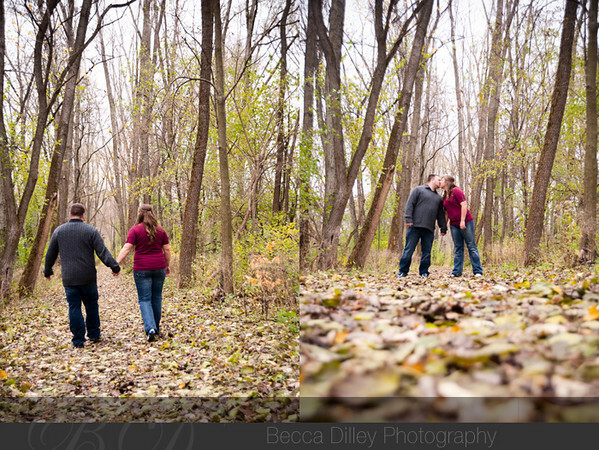 It was windy, but the leaves were perfect, and we went to the park where Christian proposed for some outside shots! 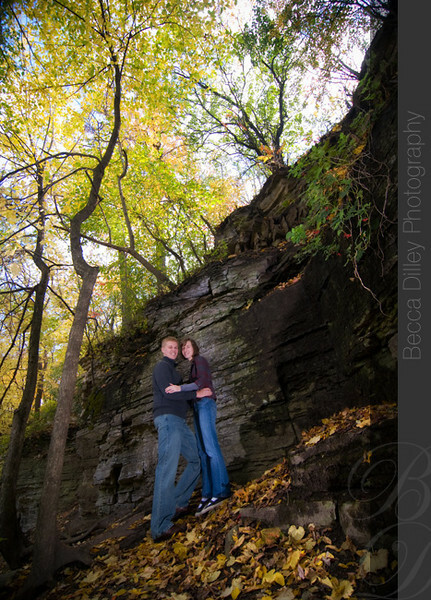 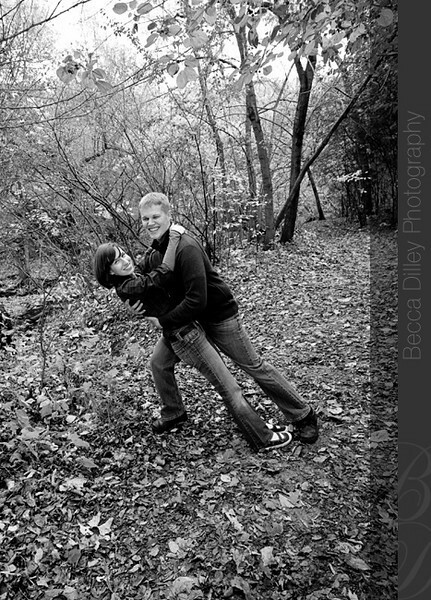 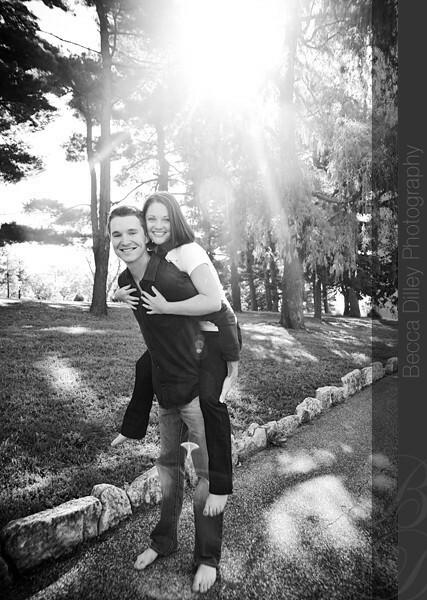 Lauren and Devin were great sports about climbing all over the park around Minnehaha Falls for their engagement session. 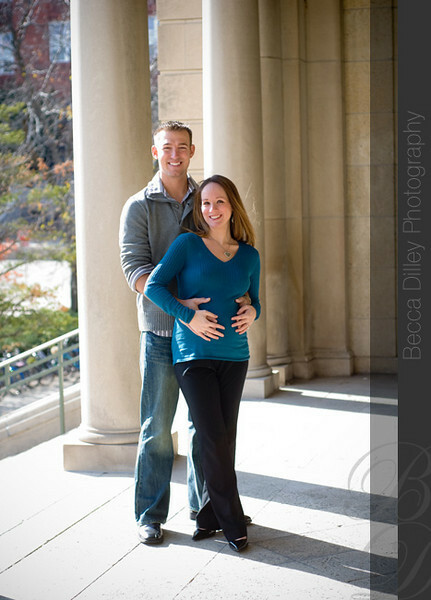 Having all previously lived in Madison, we had lots to talk about, and I am very excited to photograph their wedding next fall!